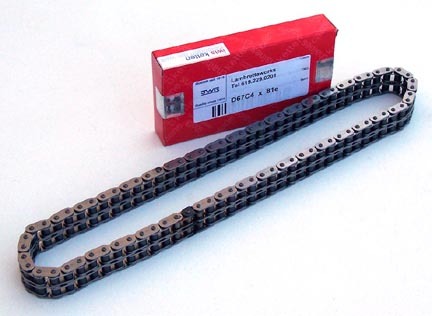 The German company Iwis produces some of the best chains in the world, including OEM timing chains for Porsche, BMW and Mercedes Benz. Now you can buy the ultimate chain for your Lambretta, fitted with a half link for use with a 17 tooth front sprocket and 46 tooth rear sprocket. Deliver the power to your transmission with the smoothest running, strongest chain available.